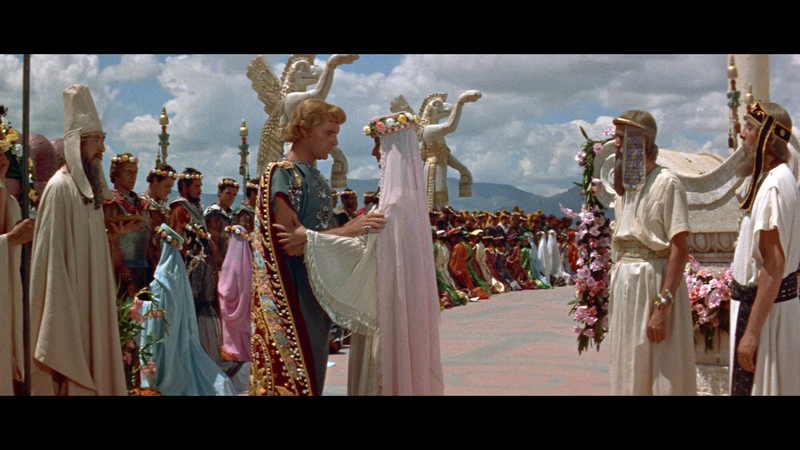 Alexander the Great is a well made if not ultimately forgettable epic action-adventure that features strong performances by Richard Burton, Fredric March and Claire Bloom, not to mention impressive costume and production designs. 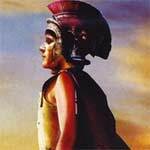 Writer-director-producer Robert Rossen brings the epic story of Alexander the Great, starring Richard Burton as the eponymous hero, the great warrior-leader of the ancient world. The film co-stars Claire Bloom, Fredric March, Danielle Darrieux, Michael Hordern, Harry Andrews, and Stanley Baker. 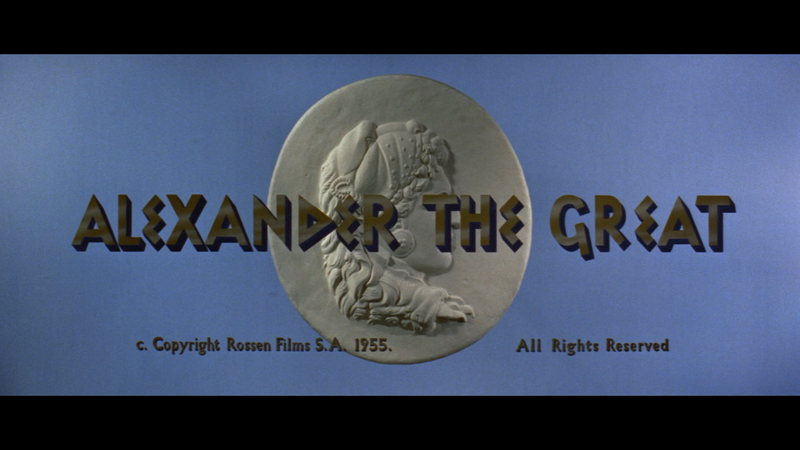 Along with the usual 8-page essay booklet, the disc has Claire Bloom on Alexander the Great (17:26; HD) which is an interview with the actress and the Theatrical Trailer (2:52; HD). 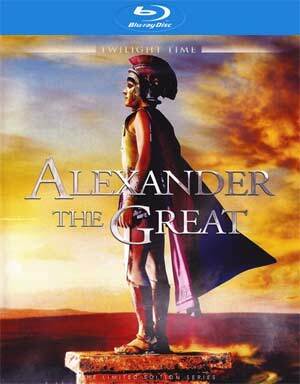 Twilight Time releases Alexander the Great onto Blu-ray presented in its original 2.35 widescreen aspect ratio and given a nice if not flawed 1080p high-definition transfer. The picture quality isn’t bad showcasing some decent detail especially for close-up shots while the more distant ones are a tad softer. There were also many instances of dust marks and scratches throughout, so it received the minimal restoration however nothing overly distracting. The DTS-HD Master Audio 2.0 track isn’t perfect but does provide some clear dialogue levels and while there were some minor instances of hissing in places, the effects come through the channels quite nicely as does the score from Mario Nascimbene which shines via an isolated score track. 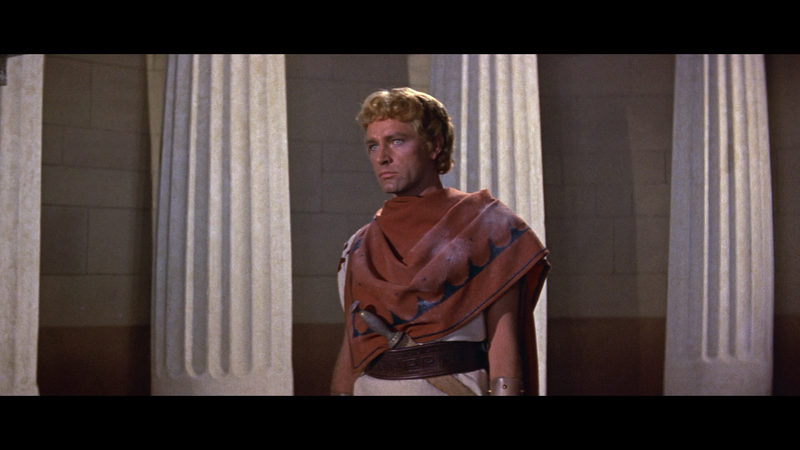 Overall, Alexander the Great is a well made if not ultimately forgettable epic action-adventure that features strong performances by Richard Burton, Fredric March and Claire Bloom, not to mention impressive costume and production designs. The Blu-ray released through Twilight Time is light on features, though it is nice to hear from Bloom, while the video and audio transfers are both well done.